Keep on walking and don't look back is a great motto for Don van Vliet aka Captain Beefheart. Would this restless creative genius have found recognition if he hadn't gone to high school with Frank Zappa? Probably. In the last post I said he was an outsider artist in the right place at the right time and in a sense growing up outside Los Angeles just at the time when the 60's musical explosion went off, it was a time of great opportunity for talented creative people. For my generation we had hoped the internet revolution would do something similar for us. I turned 30 in 1995 when AOL went mainstream. But the internet has changed the landscape so much that I'm afraid someone like Don van Vliet today would just be giving it all away for free on Soundcloud. Beefheart's anarchic visionary blues psychedelia could only have happened when it did. Like many others, he rode the rock revolution which basically ran out of gas just about the time the internet took off. What strikes me about Beefheart is that through force of will, crazed theatrics and surreal lyrics he was able to have an artistic career when many similar voices find themselves schizophrenic and homeless. Although Beefheart's work teeters on the abyss of madness, his ego pushed him ahead of the waves that would take down weaker players. The man was driven. Part of my rumination about Beefheart, I must admit, is the thought: Why did Beefheart make it but not me? But crawling through that debris requires looking back, and though we all give in to temptation like Orpheus to look back, its best to keep ones eyes forward on the road ahead. The short and obvious answer is because I'm not Beefheart. 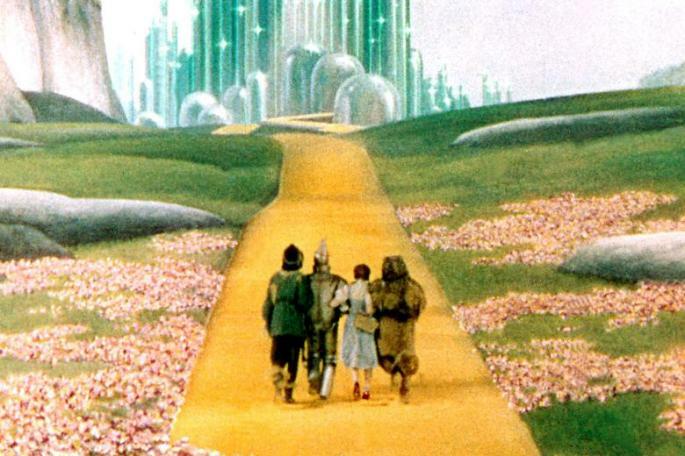 I followed a yellow brick road and I have come to know that the journey is the point, its not about the destination. And sometimes we get caught in a detour, somewhere in a gingerbread house. I've been told it doesn't matter where we live now because we have the internet but I don't think that's true. 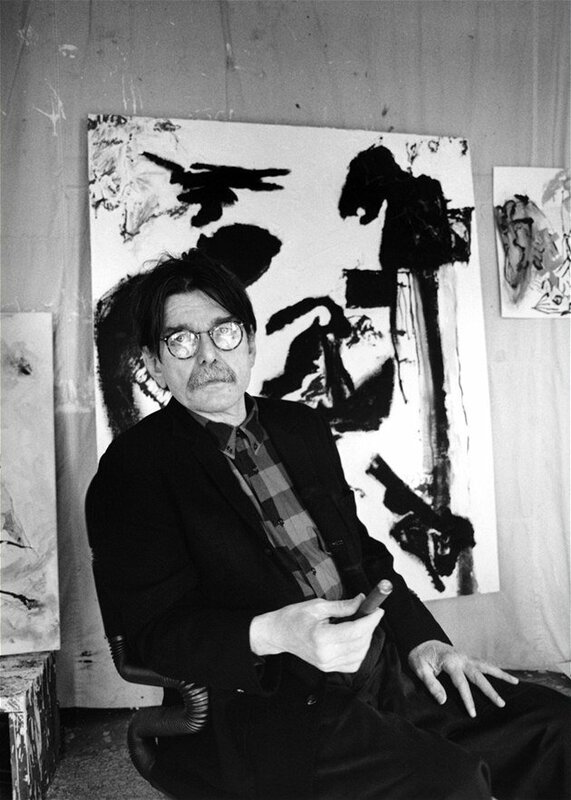 Don van Vliet spent the last 20+ years of his life as a recluse in seclusion as his multiple sclerosis increasingly took over his body. He was only 41 when he made his last record, then he had about 10-12 years as a painter working from his home in Trinidad, CA overlooking the Pacific Ocean. And then the silent years set in, up to his death in 2010 the last part of his life was very private with just his wife Jan taking care of him. In many ways he led a charmed life. Seen from one perspective, he was a spoiled only child full of belief in himself who drove his band like a tyrant cult leader. However that sort of drive, though cruel and self-absorbed at times, can be a great boon for an artist. We only get one shot and Don van Vliet basically did it all before he was 45. He is admittedly an obscure figure for many people. His lyrics are obtuse and surreal, his music is anarchic and his paintings are primitive and gestural. Thinking about Beefheart reminds me how hard it is for artists to focus on their journey and art in a world that doesn't generally care. America eats it's young and artists and poets hide in gutters, only the showmen prevail. We are lost in a world of spectacular superficiality drowning in purposeless data. But if we get lost we can hold on to the boogie. There's a way out. In the words of the Captain, “As long as you can boogie you ain’t too old.” So keep dancing. Please upvote, follow and comment.